For over 15 years ZuZu Peddals has been serving up their unique blend of current and vintage tunes ranging from 40's to today's hits! This tight 6 to 11 piece band features outstanding male and female vocals and a hot 3-piece horn section (10 piece band), menu of very "dance-able" tunes from the 40's through today's hits. 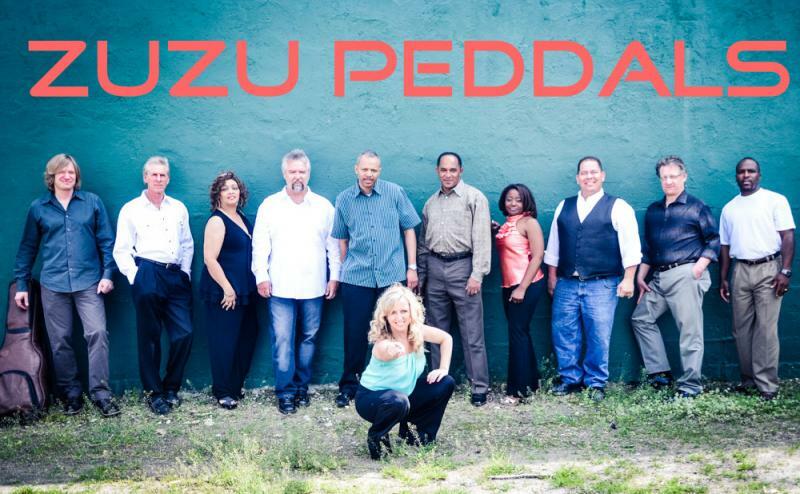 ZuZu Peddals has played numerous corporate functions, Weddings, and private parties each year. Some of the band members have played with acts such as Vince Vance & The Valiants, Percey Sledge, Maylee Thomas, Groove Posse (A.K.A. In The Groove), Delbert McClinton, Daughter Judy, Road Crew Band, James Taylor, Christopher Cross, Rob Dixon, Janie Frickie, Flyer, Frankie Cashmere and the Sweaters, Woody Lee, Bill Tillman, and King Cone & The Tailgate Philharmonic.